Home > TARGET > Target: Crock-Pot 4 Qt. 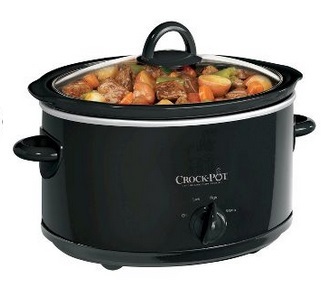 Slow Cooker Only $14.99 / Crock-Pot 4 Qt. Slow Cooker Only $5.77!! Target: Crock-Pot 4 Qt. Slow Cooker Only $14.99 / Crock-Pot 4 Qt. Slow Cooker Only $5.77!! March 2, 2017 Comments Off on Target: Crock-Pot 4 Qt. Slow Cooker Only $14.99 / Crock-Pot 4 Qt. Slow Cooker Only $5.77!! Target is offering 25% off select Kitchen items with coupon code: KITCHEN added to your cart. Get Free shipping on order over $25, other wise you can choose free in-store pickup. Or use your Target RedCard to save an additional 5% off get Free shipping! Crock-Pot 2 Qt. Slow Cooker – On sale for $7.69 and only $5.77 aftercoupon! Crock-Pot 4 Qt. Slow Cooker – On sale for $19.99 and only $14.99 after coupon! Allen Edmonds Sandman Shearling Mens Slipper Only $45.60 + Free Shipping & Free Returns! Walmart: Lifetime 8′ Fold-In-Half Table Only $79.99 + Free Shipping!